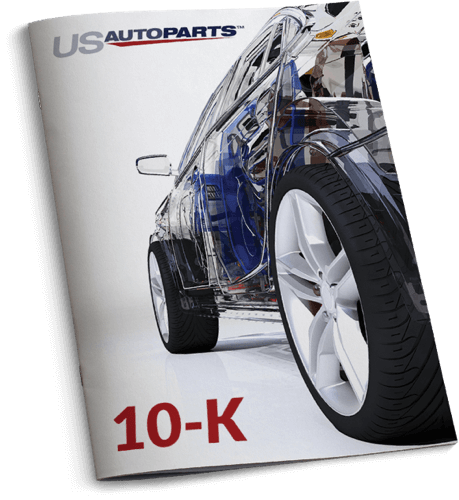 U.S. Auto Parts Network, Inc. was established in 1995 and has become a leading online provider of automotive aftermarket parts, including collision, engine and performance parts and accessories. Through the Company's network of websites, U.S. Auto Parts provides consumers with a broad selection of competitively priced products, all mapped by a proprietary database with applications based on vehicle makes, models and years. Auto Parts Warehouse is one of the top online auto parts and accessories distributors in the U.S. They have a comprehensive catalog of over 550,000 auto parts and accessories from top aftermarket manufacturers to fit all domestic and foreign makes and models. JC Whitney provides customers with the auto parts they need at the lowest prices. They house the most comprehensive collection of automotive parts and accessories in the world. CarParts.com is one of the leading online car and truck parts and accessories stores. They have a complete selection of high-quality parts for a wide range of vehicle makes and models - offered at the lowest prices. Parts Train is a committed provider of parts and accessories at the lowest prices. They have more than 1,000,000 parts in stock, and take great lengths to make sure that you'll find exactly what you need.